Bandai Namco and developer DigixArt are collaborating on a new narrative adventure game set in World War 1 that sounds like a far cry from the comedic claymation series . Game is called 11-11 : memories Retold ,the game focuses on storytelling and tone ,rather than combat .Bandai has provided few details regarding its Gameplay yet ,although it says that it will be fairly unconventional . 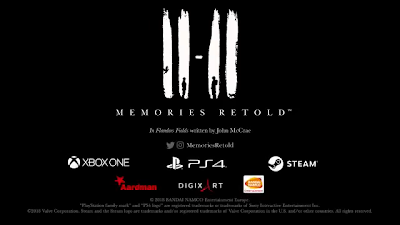 11-11: Memories Retold is coming to PS4 , Xbox One and PC ,although no release date has been provided yet .you can see small Trailer in above video .